So, without further ado, here's another brilliant pre-Black Friday deal for US drummers, courtesy of Sweetwater. 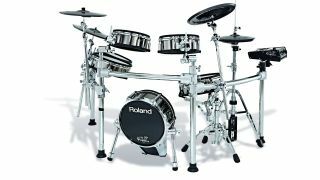 At the time of review in 2015, we concluded that "Roland hasn’t failed to deliver with the endlessly customisable TD-50 electronic drum set. It’s absolutely brimming with new features and edges ever closer to the realism of an acoustic kit." and it remains a truly top-notch pro-level kit. You can learn more by reading our in-depth Roland TD-50KV review here. If you act right now by heading over to Sweetwater, you can save a chunky $428 on the five-piece configuration.